It may be the heart of winter, but don’t let that put a dampener on your gardening. This is an important month to take care of your veggie garden, clean out any deadwood and prune your fruit trees and roses. Ferns are quite trendy right now, understandably due to their air-purifying benefits and calming effect. Plant some easy-to-grow species in your garden or in pots in the house, including the dainty Maidenhair, striking Yellow sword fern, tough Holly fern and evergreen Leather leaf fern varieties. Lavender and Calendula are great to plant right now. There’s still time to sow late plantings of green peas, lettuce, spinach, cabbage and carrots. Winter-flowering annuals should be fed with foliar fertiliser every two weeks, such as Multifeed Flowergro. 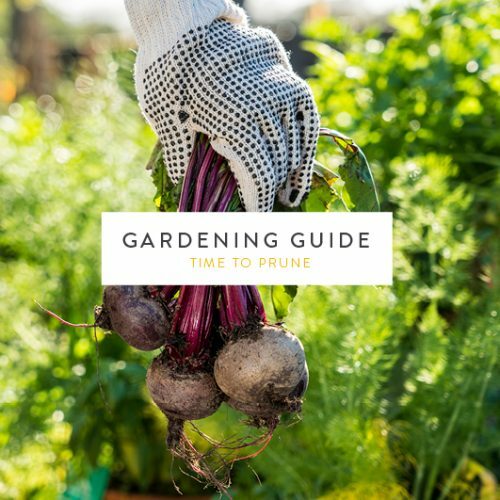 Fruit trees and roses should be fed with slow-release fertiliser such as Atlantic Fruit & Flower, as well as bonemeal at soil level after pruning. You can also work some kraal manure into the soil around the plants. Citrus trees need to be fed with Wonder 3:1:5 slow release, then watered well. Dig fertiliser into the soil for best effect. Also, add mulch with acid compost to improve the soil’s pH levels. Be sure to use a good pair of lopping shears, secateurs, gardening gloves and Steriseal. July is a great time to remove any deadwood, leaves and diseased branches. Remove faded flowers from winter-flowering annuals, for example pansies, violas and poppies. When pruning hydrangeas, remove all damaged, diseased or dead growth. Cut back the stems above thick, round, green buds. Pruning roses encourages bigger, better blooms. Now’s a good time to prune hybrid roses, tea roses and miniature roses. Cut back trees that are getting too big. Rodents tend to lurk in garden sheds, cupboards and under the roof when seeking shelter from the cold. Consult one of our garden experts for recommendations on products to send them on their way that are both friendly to other animals and to humans. To encourage continued flowering, pick stocks, sweet peas and Iceland poppies. Vegetables that are sensitive to the cold, such as parsley, lettuce and celery, should all be protected with frost cloth during the winter cold. To keep your vegetable garden healthy and strong, continue to water deeply once a week.